The current quality system in place at Progressive Molding Technologies is structured after the requirements specified under QS9000. We are currently in the process of formalizing final documentation for certification. Certification to be concurrent with QS9000 certification. 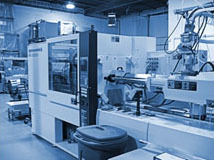 Copyright © 2010 Progressive Molding Technologies Inc. All Rights Reserved.